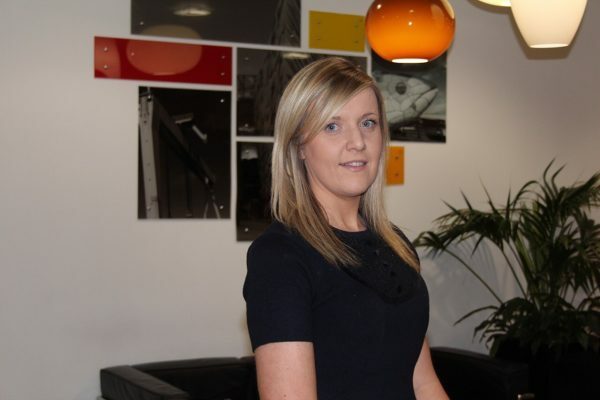 I started out in a smaller accountancy practice where I completed my training contract before I moved to PwC. A friend who worked in PwC recommended that I should join the firm, so I applied through a referral scheme. Do you have a typical workings day? No, not really, but that is what I love most about my job. Whilst my primary role is to provide external audit services to a portfolio of clients and to manage teams, it would be hard to say that we can plan every day. I work across a number of clients in various sectors, with various reporting requirements and needs, and clients of various sizes, therefore my roles and responsibilities change depending on what is required. I have also been given the opportunity to work on some specific projects too which is a bit different to the “norm”. These projects give me the opportunity to work with non-assurance teams, in some complex/specialist areas, which is very interesting. I attended Queens University, Belfast and achieved a BSc in Accounting. I then completed my training contract with my previous firm and qualified as a Chartered Accountant within the Institute of Chartered Accountants, Ireland. Communication is key in my role. You need to be able to communicate well with the internal and external teams you are working with including clients, associates, partners, and other internal stakeholders. Project management, particularly team work, and good organisation skills is also an important aspect of the role since you will be dealing with a number of stakeholders at any one time on a range of engagements. In addition, part of my role is to support the associates within their training contracts, therefore the ability to coach and support individuals within your team is a key part of the job. I think the ability to be flexible in prioritising tasks, and innovative in how you approach your work is important. The profession is changing; therefore, the approach taken to complete tasks and resolve problems is changing. Flexibility. I think there is an urban myth that when you join Big4 you will find yourself on a plane for the vast majority of your time. Within assurance in Belfast, this has not been the case. The majority of my clients are based in Northern Ireland/Ireland (albeit most of them have a presence in international locations); therefore, my work is predominately based in Northern Ireland. On the flip side, there are lots of opportunities within the PwC network to travel, therefore if this is something you are interested in, the firm will support that. In addition, there are many initiatives, which include remote working, which is helpful in ensuring you can balance your personal life with the pressures of work and the needs of our clients. The support network and the people you work with are also key. What are the greatest challenges and pressures of the job? Getting everything done. The variety and experience PwC offers is fantastic, but the downside of that is that sometimes there are periods of pressure. Practice, and particularly audit is known to be a busy profession, but I think the secret to success is team work and being organised to ensure that deadlines are met and the workload is manageable for everyone. What are the most common questions people ask when they find out what you do? You must be great at Maths?! We use calculators thankfully! What advice would you give someone considering a move to PwC, Assurance? The initial thought of joining PwC was quite daunting as I had not previously worked in one of the larger accountancy practices. The key piece of advice from me is to ensure that you ask questions from your peers, as the support network is great. Once you understand the processes and procedures, all of the other challenges are much more manageable. I would also recommend being open minded and open to new challenges. There are so many opportunities to work with great people and clients, therefore the more you give the more you will get out of working at PwC.